Wednesday (Bar 4:00 - 12:00) DR 5:00 - 10:00 p.m.
Thursday (Bar 4:00 - 12:00) DR 5:00 - 10:00 p.m.
Friday (Bar 4:00 - 12:00) DR 4:30-11 p.m.
Saturday (Bar 4:00 - 12:00) DR 4:30 -11:00 p.m.
Sunday (Bar 4:00 -12:00) DR 4:00-9 p.m.
Ben Pumo - Owner/ Chef "Tired of the Chains? We make it fresh!" Celebrating 13 years! 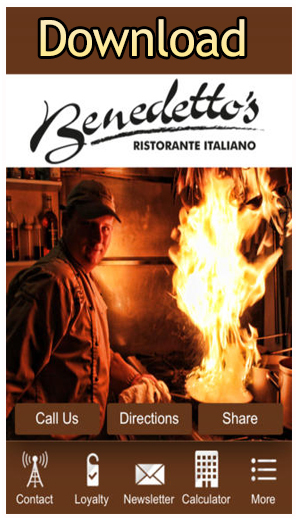 Benedettos Tampa Bays and West Florida's Premier Dinning Destination For over a decade! 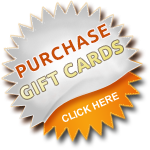 Copyright © 2012 Best Italian Restaurant In Tampa. All rights reserved.